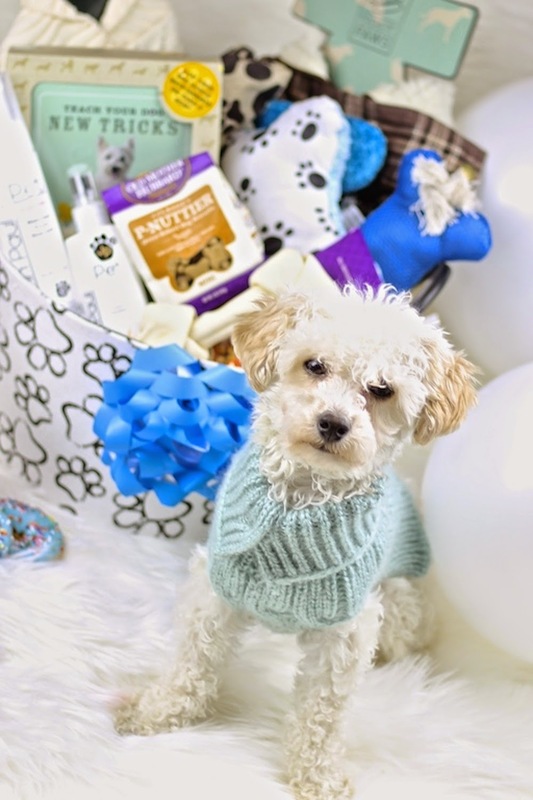 Today is my poodle's Prince's 1st birthday! Admittedly, since I have had Prince, he is more of son to me than a pet, I know that may sound weird to some, but that's just how it is for us Dogmom's and dads. I love this little guy so much and he is way too spoiled but I can't help it! Originally, I wanted to have him a royalty themed party and invite all the dogs that we know, however, my schedule just didn't permit for it, this time. 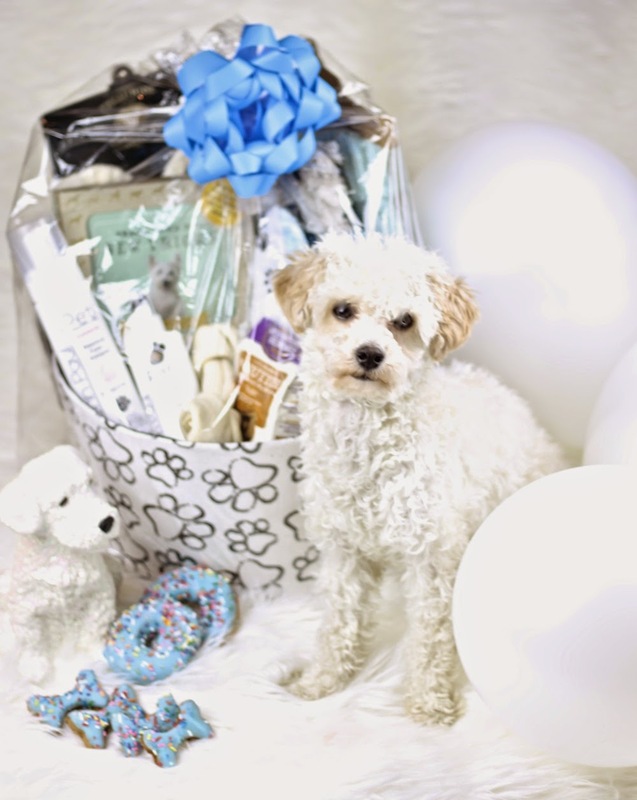 So, I decided I would make him a doggie gift basket filled with things he'd love and a few things he needed. 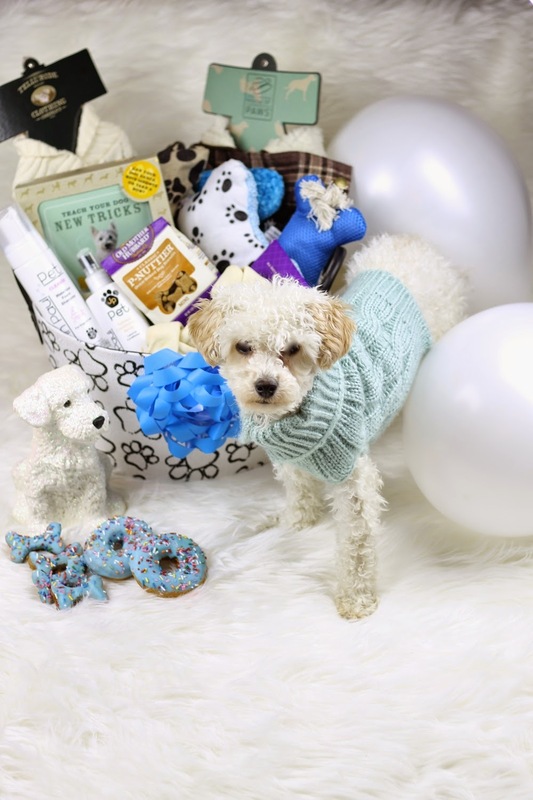 Prince, has birthed a new found love of mine which is pet photography, so we had to have a mini birthday photo shoot. He wasn't feeling it at first but after a little coaching and bribing with treats, he cooperated for about five minutes, lol! Today my little boy is 1 year old, seven in dog years. He's growing up way too fast! He's still the lovable puppy he was when I got him, he loves to cuddle and play with his toys. He always so excited to see me and welcomes me with so much love. I love him more and more each day. Be sure to keep up with Prince on Instagram by following his hasthag #SC360DogMom.